If you have been following me for a while, you know by now that my favorite Macarons are Pierre Herme. I love the fact that every bite is a surprise! 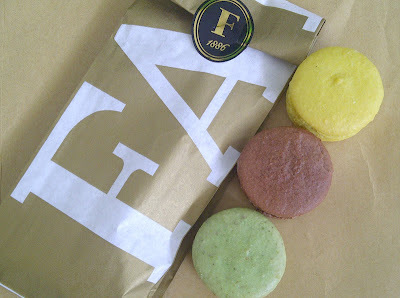 Unfortunately I cannot find them here in Dubai so I have been on the hunt for THE Macaron for a few months as you can imagine, and I can now say that Fauchon makes the best Macarons of Dubai (sorry if I disappoint Laduree lovers). They are crunchy but also full, soft inside and tasty. Love their soft colors! You will find Fauchon at the Mall of Emirates and Dubai Mall.